At present, most of the womens and younger girls who are all too beauty conscious and they would like to wear the eyelash extensions in order to highlight their eyes in the face. When it comes to the eyelash extensions, there are several options currently available in the market. From among them, premade fans lashes are currently becoming too famous among the people. They are premium quality and top rated synthetic lashes tapered and curled to provide maximum perfection for your eye makeup. When it comes to the pre-made fans eye lashes, they are completely the brand new style of the eyelash extensions to provide incredible look and style to your eyes. They are also known as the volume eyelash extensive providing high grade fluffy lashes in 2D, 3D, 4D, 5D and also 10D volumes. As per your requirements, you can pick the best choice of the volume eyelash premade fans extensions from the shop. These volume eyelash extensions are absolutely the advanced and also latest developments in the eyelash technology. If you are choosing the premade fans eye lash extensions for your eye makeup, you will definitely get feathery soft, luxuriously full, glamorous and fluffy but natural looking high volume sets of the eyelashes. The fully lashes 10D, 5D, 4D, 3D and 2D lash is the customized eyelash design for getting the different volume lashes for you. One lash usually has the 2, 3, 4, 5, or 10 ultra thin & extremely lightweight pre fanned eye lashes which are carefully arranged on the sticking strip for your easy and quick application. At the same time, such eyelash extensions are knot-free & coming in glued or glue-free options as per your requirements. According to your individual requirements, you can choose either C or D curl volume eyelash extensions to get the fluffy, luxurious and natural look. These eyelash extensions are definitely a great choice for the extremely fluffy and fast lashes which are absolutely ultimate in the voluminous lashes. Whenever you are considering the fluffy lashes 2D, they are usually coming in 0.007 mm and 0.10 mm diameter. 3D lashes in 0.07 mm, 0.10 mm and 0.085 mm diameter. 4D lashes in 0.05 mm and 0.07 mm diameter. 5D lashes in 0.05 mm and 0.06 mm diameter. All these lashes are most probably same in thickness which is especially for the volume lash technique. This is why anyone can easily apply them on the eyelash to provide the additional effect to your eye makeup. In the previous days, using the volume technique on the eyelash extensions is difficult, time consuming and also very frustrating task. 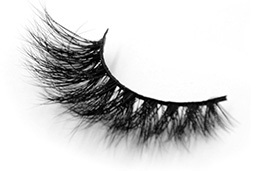 But with the introduction of the premade fans lashes, it is really very simpler and easier to apply on your eyelashes. You shouldn’t be the most experienced and talented expert to apply these lashes because it is very simpler to apply. Even the normal persons can easily apply these lashes on their eyes to improve the overall look of their eye makeup. Choosing a right diameter or thickness of the lash is the most significant task for everyone because it plays a vital role in making your lash looking greater and suits your eyes with the lasting and beautiful result. All these types and sizes of the pre-made fluffy fans eye lashes are really very softer and fluffier to the touch than the typical eyelash. Now days, majority of the ladies and younger girls would often like to make use of these eyelash extensions in order to boost the volume and length. Thus, it could now become one of the revolutionary products for your greatest eye makeup. Before to the application of the volume eyelash extensions, the experts are safely attach one eyelash extension to one natural lash. It is the latest technique to attain the natural look because the traditional technique of applying the extensions will not work to achieve the glamorous and full look. The pre-fanned fluffy lashes sets allow everyone to get the boosting lash volume even you have the challenging natural lashes. It becomes possible because the pre-fanned lashes are superfine and safe to your eyelashes.